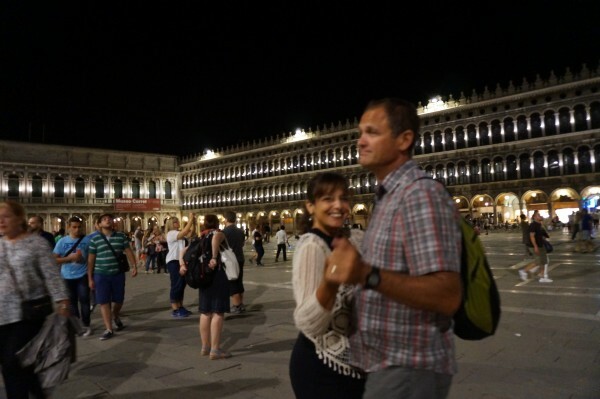 Venice – a city with no cars, boats for taxis and arguably the world’s best gelato, is comprised of 100 islands connected by 400 bridges and 2000 narrow alleys that allow you to escape the crowds and retreat into a world of idyllic charm. We visited Venice for five days and I could have stayed longer. The city charmed me with its ancient washed-out colors, iron window screens, flowering window boxes, plethora of specialty shops, charming squares with outdoor cafes, and beautiful churches. Small bridge in a back alley of Venice. Charming and away from crowds. 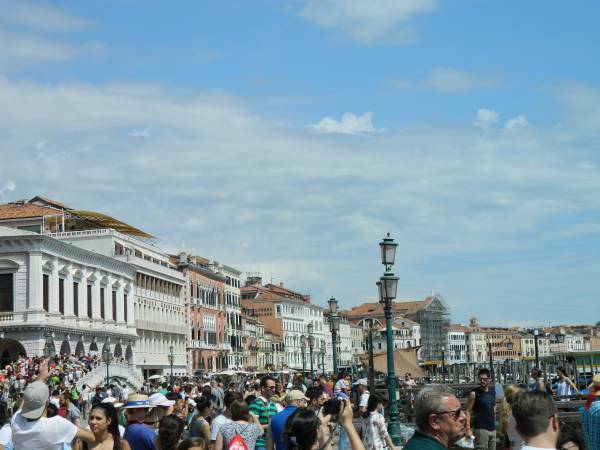 Our first impression of Venice was one of intense crowds (we don’t do crowds well). We arrived on the island at noon, and were overwhelmed by the crowds. We attempted to view a few sights, but soon decided to get off the beaten track and explore aimlessly. 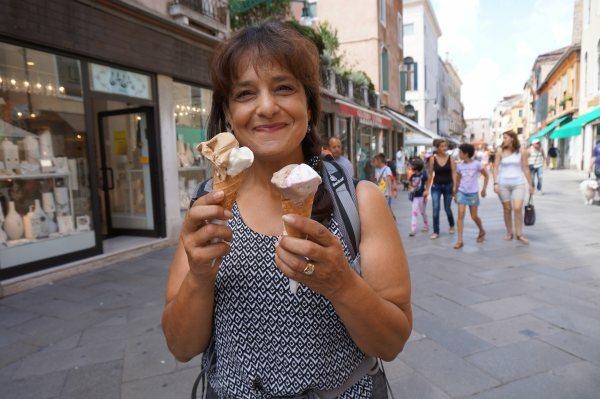 Our explorations were rewarded with incredible views of the city, its small alleyways and small cafés where we enjoyed lunch as the locals did and homemade gelato that could be described as art. 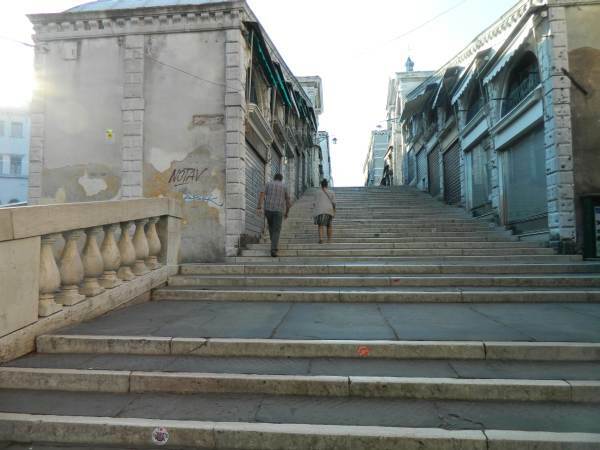 We decided that escaping the crowd had been the right choice and would continue to visit this historic city, but only in the early mornings before the cruise ships dropped off tourists by the hundreds, and in the evening when most tourists had returned home. Piazza San Marco in the middle of the day. Have to be tough in order to get through the crowds. Steve and Giana crossing the Ritalo Bridge at 7:00 am. Well worth getting up early. 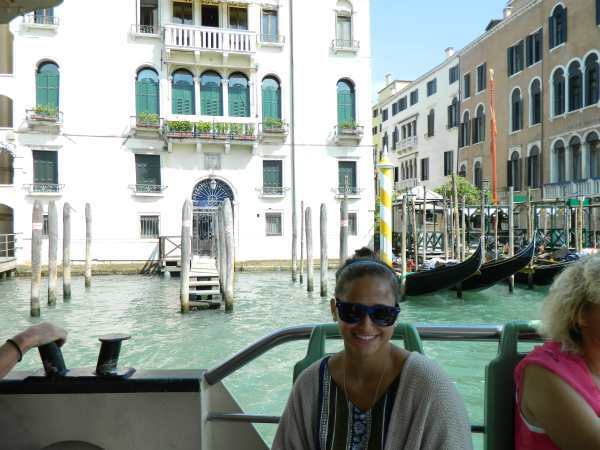 We toured the next two days on the Vaporetto, the city’s water bus, getting on and off at different stops. 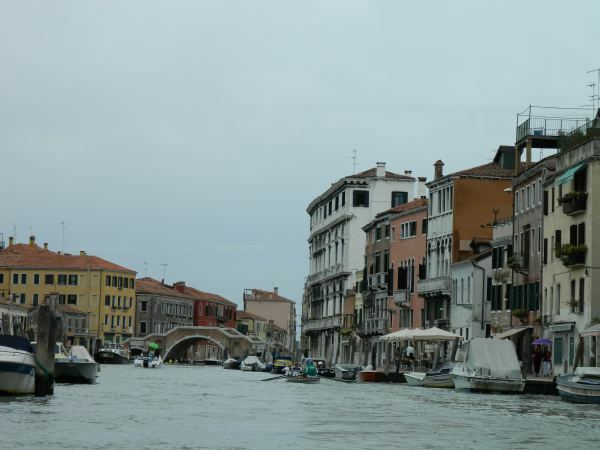 We enjoyed the incredible views cruising the Grand Canal (the city’s “main street”), as well as the waterways between the larger islands. The experience was entirely different in the evening after the tourists left and left us with the usually crowded boat, all to ourselves. 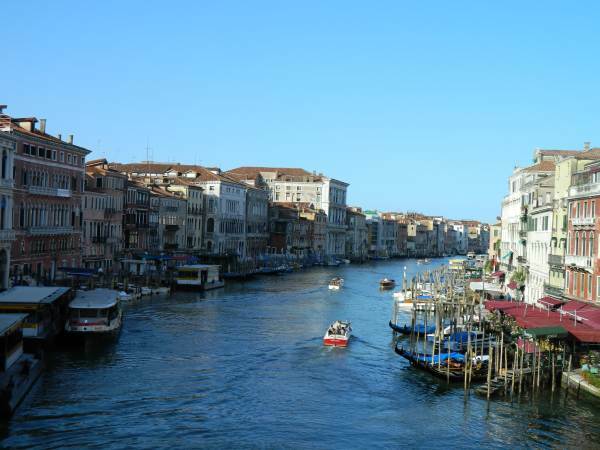 Just as a good city bus system, the boat system of Venice can get you most anywhere. The views are quite good as well, especially if you can get one of the few seats in the back. 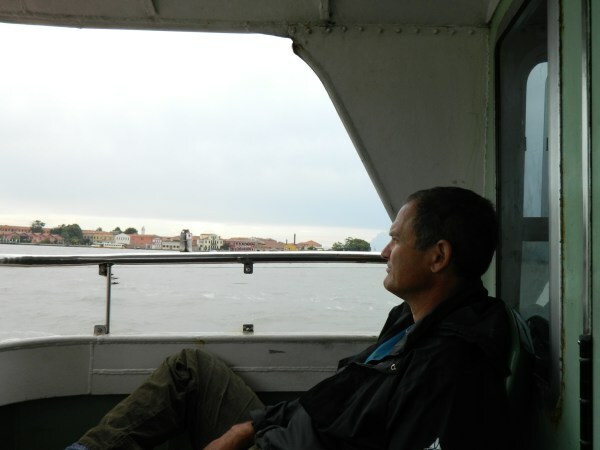 Boat is by far the best way to see the city and Grand Canal. 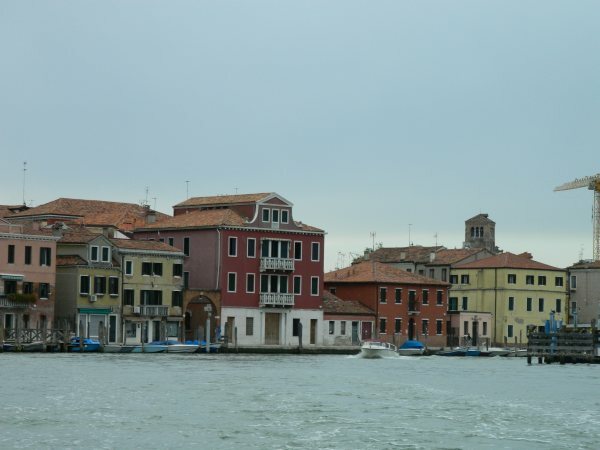 We took a day trip to Murano, an island known for its decorative and artistic glass. Venice at night was magical! There were few people out walking, and the larger squares with outdoor cafés had live classical music for our enjoyment. 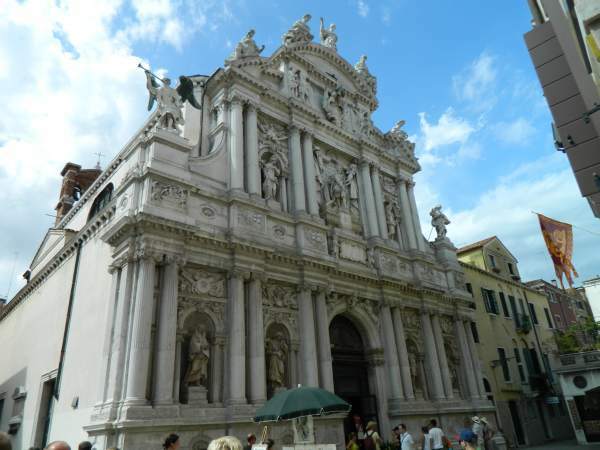 In San Marco’s square, the largest of the squares, there were three “dueling orchestras”. These three to five piece orchestras situated around the square would take turns playing booth classical and modern music to see who could engage the crowd the most. It was quite fun. We clapped, danced, and truly enjoyed the ambiance of fun and romance. 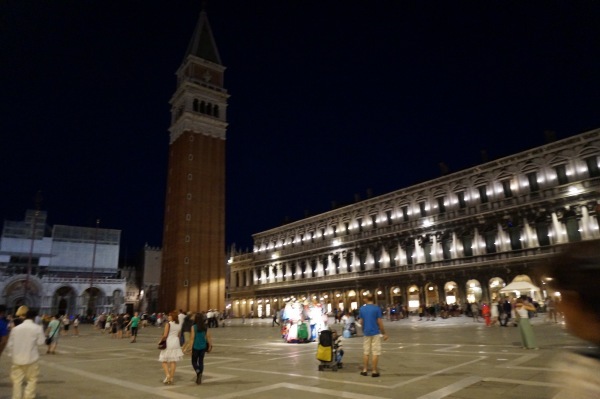 Piazza San Marco in the evening while orchestras play. The crowds seem to have missed the best part of the day. 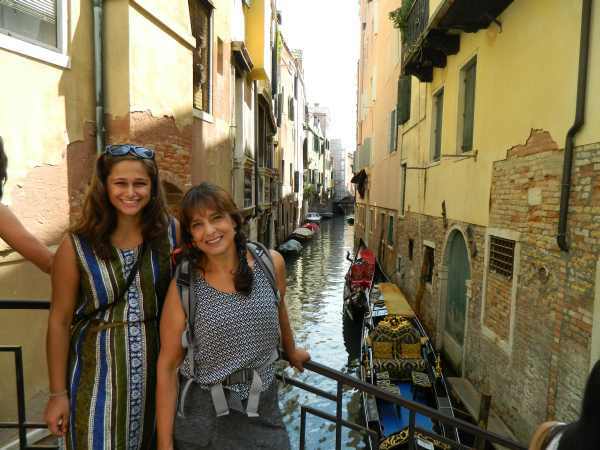 I want to be in Venice with you!! Hi Aunt Sandy, The invitation to join us still stands! We’d love to see you! Glad you are enjoying Italy, we are also enjoying it. Venice is such a magical place. Thank you. We love Italy as well.